Schools are canceled, there are no long distance buses. 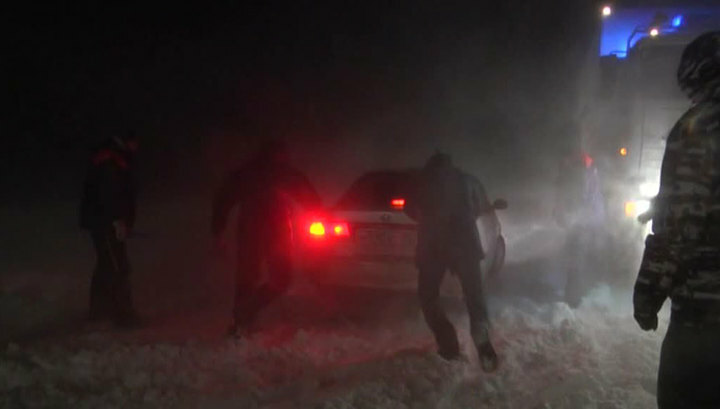 A powerful cyclone covered the southern part of Sakhalin Island. All night on the main thoroughfares worked more than three hundred units of equipment, getting out the columns of cars caught in a snow captivity. A number of settlements are still de-energized. In Yuzhno-Sakhalinsk the regime of emergency situations is introduced, the Administration asks the residents not to go out into the street. Due to a strong snowstorm cleared roads enter in less than an hour.